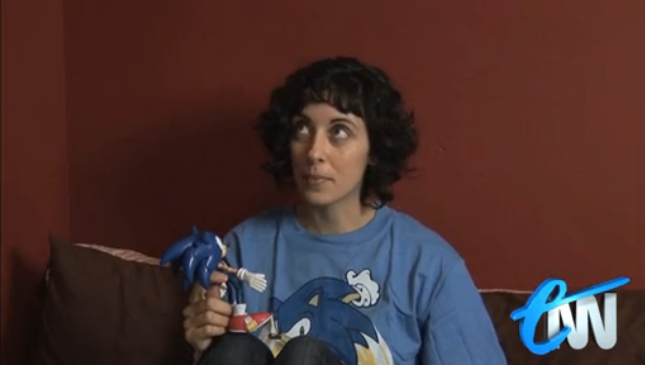 For years, I’ve heard the relationship between Sonic’s rabid fans and the gradually disappointing blue hedgehog himself compared to a real life case of domestic abuse. Never did I imagine that somebody would run with that idea and make a network news parody out of it. I had a good laugh at this video. The feature story starts at the 2:20 mark. It’s such a good job we can always rely on Youtube to bring us the newest and most reliable game footage before any other place on the Internet, isn’t it? It appears a user named ‘JesseMeza07’ has managed to get his hands on a first look at the gameplay of the upcoming ‘Sonic and the Black Knight’ title for the Nintendo Wii released next Spring. There’s something wrong here though… but we at TSS can’t quite put our fingers on it.